Happy New Year 2018! While we settle in to the new year’s grooves, and chart out this year’s exciting range of community programs and activities, we hope that you are as excited as we are to get going on this journey to mobilize more Malaysians to adopt sustainable living practices. From our regular workshops and talks to our flagship programs, stay tune for regular updates by signing up for our newsletter on our website. The easier and convenient way is of course through our social media platforms such as Facebook, Instagram and Twitter. Meanwhile, we would love to hear from you on how we can create more impact through our programs so if you have been a beneficiary or a participant in the past, and would like to provide us with some your feedback on our programs and activities, take three minutes and dive in to our EcoKnights Feedback Survey. Your time and feedback will help us improve our programs and ourselves. So we appreciate your inputs after all, we aim to serve the needs of the Malaysian society and propel everyone towards a sustainable nation. 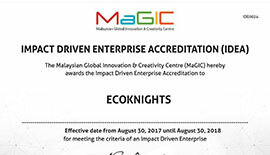 Lastly, we are excited to share with you that EcoKnights has been recently accredited by MaGIC as a impact-driven enterprise. We hope that this would open doors to ore opportunities to work with you to drive impact in society. So stay tuned in as we have loads of exciting efforts lined up for 2018! EcoKnights officially accredited as an impact-driven organization by MAGIC. EcoKnights is proud, happy and delighted to share with all our supporters here that we have been officially accredited as an impact-driven organization by MAGIC. As an impact-driven organization, we hope that this would assist us in opening up doors and opportunities for a local NGO like us to deliver impactful programs in collaboration with your university, school, and company. If you are looking for opportunities for impact-driven initiatives, give us a call at 03-77318361 or email us at info@ecoknights.org.my. 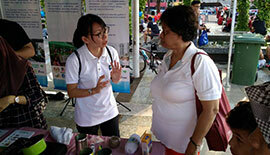 On the 23rd December 2017, EcoKnights together with ERE Consulting Group participated in the KL Car Free Morning at Dataran DBKL 1 to promote awareness on the ‘Klang Learning Engagement and Action for River’ (KLEAR) programme to the public by organizing simple workshops on converting used cooking oil into soaps and candles. To know more about KLEAR: A Phase 3A River of Life Public Outreach Program (ROL-POP 3A) and how you can participate in our river projects, visit here. 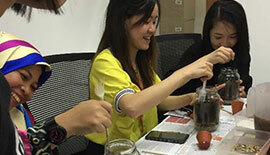 On 27 December 2017, Guardian invited EcoKnights to conduct a terrarium workshop at their office. Each of the participants were taught what was needed to start building a terrarium with everyone having the materials needed in front of them. Read more here. 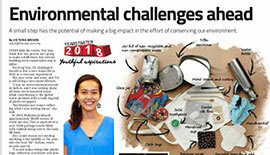 EcoKnights’ Survey on The Level of Awareness of Malaysians regarding the Mining Industry in Malaysia. In the last year, together with our research partner, Waseda University, EcoKnights has been actively engaged in social surveys to obtain data and information on the perception of Malaysians on mining development in the country. We hope that you can spare some time to contribute to this survey which will help us understand your current perspectives on mineral resources development in the country. Click here to help us in our social study. EcoKnights and Waseda University have also done a survey on Malaysian youth’s perspective towards bauxite mining in Kuantan. Click here to find out and download the results of the survey which has been presented to various stakeholders in Kuantan and Kuala Lumpur. Valentine’s Day is around the corner and most of you are probably toying with the idea of getting special gifts for your loved ones. 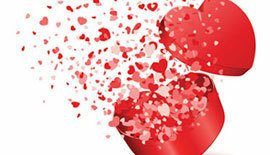 Click here to discover 10 ways to have an eco-friendly Valentine’s Day! 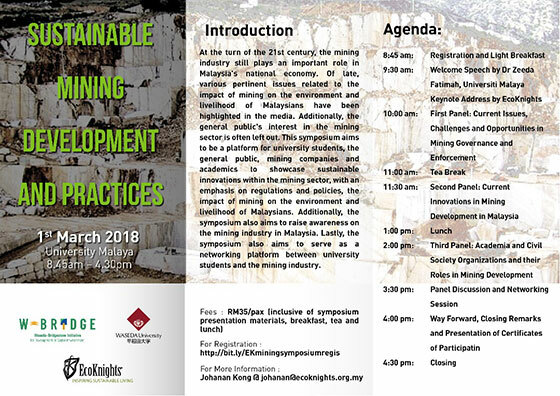 In collaboration with Waseda University under the W-Bridge Program, EcoKnights will be co-organizing our first symposium on sustainable mining development and practices with the Department of Science and Technology of University Malaya on 1st March 2018 at Universiti Malaya. 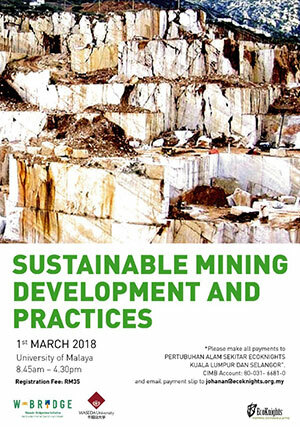 This symposium aims to to be a platform for university students, the general public and academics to showcase sustainable innovations within the mining sector, with an emphasis on regulations and policies, the impact of mining on the environment and livelihood of Malaysians. Additionally, the symposium also aims to raise awareness on the mining industry in Malaysia. Lastly, the symposium also aims to serves as a networking platform between university students and the mining industry. If you’re interested to know more about the mining development in Malaysia, head over to our portal to register. If you’re curious about the aspirations and challenges faced by the young Knights – Mok, Nabila and Emirul, click here to read their interview by The Star. On 26th December, EcoKnights president Yasmin Rasyid was on air in Traxx.fm to give her 2 cents about the environment in Malaysia in 2017. Check out her amazing review here. 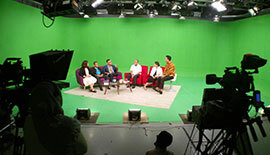 EcoKnights Fadly Bakhtiar Speaking On national challenges related to river management and protection on Astro Ria. EcoKnights Programme Director Fadly Bakhtiar was interviewed by Astro Ria to speak on the national challenges related to river management and protection. Click here to watch the interview which was joined by Datuk Ir Dr Md Nasir Md Noh, director of Department of Drainage and Irrigation, En. Mohammad bin Budis from RCOMM Lestari and Tan Su Lin from Astro Awani. Find out what our previous interns, Luqman has to say about her experience in our internship programme. 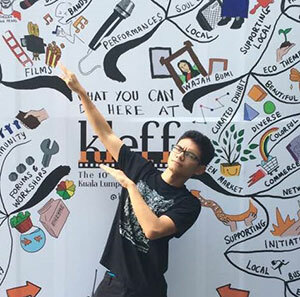 When I walked into the EcoKnights meeting room for my interview, I was firmly set on getting two things: I was going to find out what on earth was going on with the Malaysian environment, and I wanted to push myself to reach new heights as an individual and working professional. Long story short, at the end of five action-packed months I managed to obtain both of those things. As well as more than a few white hairs. When I was working with EcoKnights, I was a graphic designer. What were my roles? Simply put, I made pretty pictures. 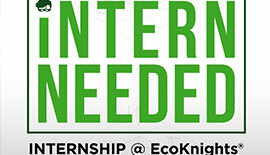 The longer answer is that as part of the EcoKnights in-house creative team, I would be placed in charge of designing visual collateral for physical and virtual information campaigns. This visual collateral could take many forms: buntings, car stickers, banners, lanyards, E-backdrops, brochures, and more. 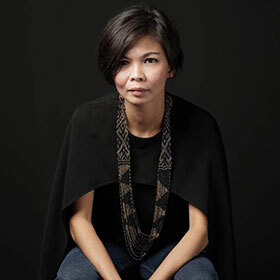 I assisted the team heavily in the months leading up to The 10th Kuala Lumpur Eco Film Festival (KLEFF), as the event needed a huge amount of collateral to be readied and produced. 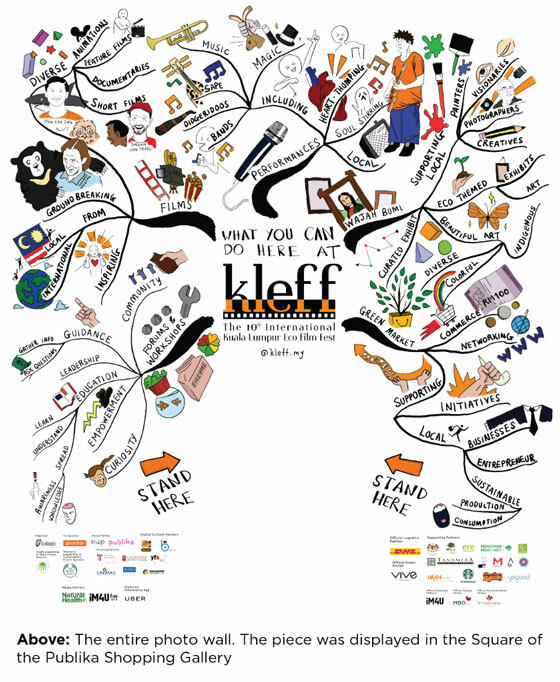 Participating in KLEFF not only pushed me to develop a coherent work flow, it also taught me how to work faster than I ever thought possible. I had no choice, as I was tasked with designing a multitude of brochures, social media announcements, e-backdrops, signs, and one photo-wall. On top of this, I also was tasked to make sure the collateral was coordinated with the rest of the team’s efforts. Taking on such a task really beefed up my project management skills, as well as my ability to communicate and set expectations. In addition to making visual collateral for their own events, EcoKnights also offers design services to selected partners. After the festival, this is where I spent a majority of my time and efforts. Aside from improving my professional I have also been able to educate myself on the current state of the Malaysian environment. Not only that, I also learned a variety of ways to lessen my ecological footprint even further. For example, I learned how to make my own soaps and cleaning solutions through upcycling used cooking oil and distilling eco-enzymes. In fact, not only did I have to learn these things, I ended up teaching a few classes on them! If you are considering a job here, I would want you to know that if you need rigid procedures and extensive plans, this isn’t the place for you. A phrase that I was introduced to during my EcoKnights days (a phrase that I’ve grown to begrudgingly love) is the phrase “play-by-ear.” It means to improvise based on what is happening in the current moment, and it's something we do a lot here because EcoKnights is constantly adapting itself in order to better, serve our communities and maximize our limited resources. However, if you are a driven, passionate, individual, intent on improving yourself while bettering the world around you at the same time, I can think no other place more suited to you than this office right here.